The 77 women who completed the second Homeward Bound program all had a background (degree qualification, or equivalent) in a field of science. They represented a broad range of professions, occupations and career levels, and were selected based on their potential to have an impact on decision making as it relates to the state of the planet. Pathways and mechanisms for having impact formed a core part of program curriculum and discussions. This second cohort of women began their learning journey in April 2017, culminating in their voyage to Antarctica from 18 February to 17 March 2018, and extending with debriefings, collaborations and follow-up sessions for several months post-voyage. 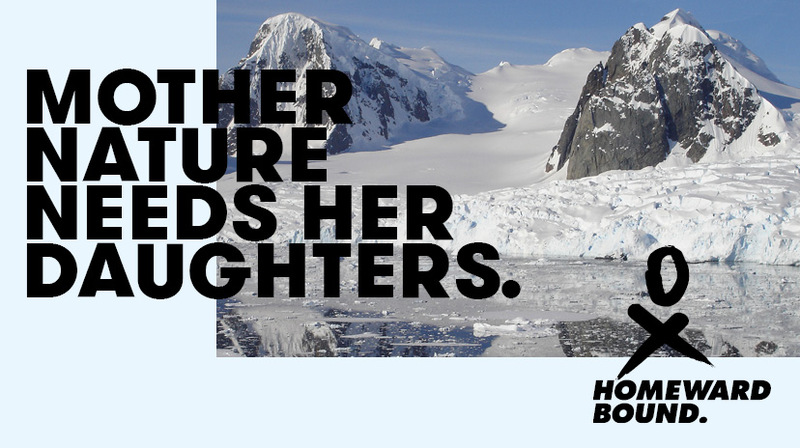 Now as alumnae, joining the 76 who went before them, they are helping fullfill Homeward Bound’s ambition to develop a 1000-strong network of women with backgrounds in science who can support each other in changing the face of leadership and better managing our ‘planet as home’. 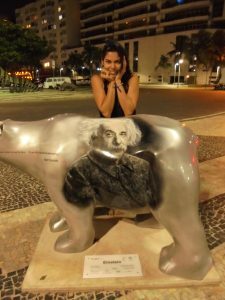 Adriana has a PhD in Marine Ecology focussed on the effects of human activities and climate change on coral reefs. Her previous experience includes environmental education programs in Venezuela, monitoring coral bleaching in the Caribbean and assessing the effects of suspended sediments, nutrients and temperature on coral reproduction. She is excited about the opportunity to participate in Homeward Bound and is looking forward to discussing with other participants the strategies needed in underdeveloped countries to make people aware of the need of mitigating the impact of human activities on climate change. Alicia’s passions span science as much as the experience of scientists and science in society. With more than one decade in research, she also works to make science more inclusive, understood, and creative. 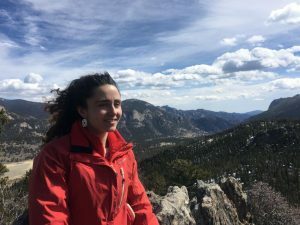 Originally from Barcelona, Spain, she holds a MSc in Biodiversity, a PhD in Biology on ecology and genomics of marine sponges, conducted at Harvard University, and is currently a Smithsonian National Museum of Natural History Research Associate. Recognising the unique barriers women face in science, she created and chairs the Women in Science Commission (MECUSA) of the Association of Spanish Scientist in the USA (www.ecusa.es). Ana is curious about why people do the things they do. She uses ethnographic methodologies to uncover the social, cultural, and psychological drivers of behavior. 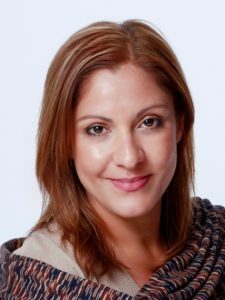 Ana is the founder of Concept Hatchery, an insight and strategy consultancy. She helped found Seafood Legacy, a Japanese sustainable seafood advocacy, where she serves as international advisor. She is passionate about cultural fluency in the global sustainable seafood community. 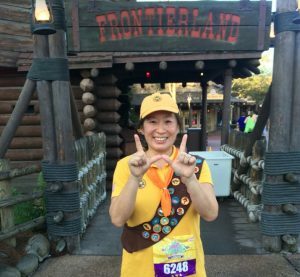 Ana is a world traveler, avid Disney fan, and loves running for charity in the Hogwarts Running Club. 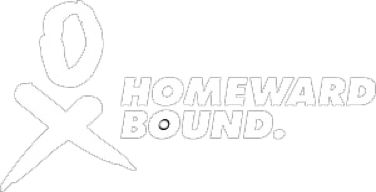 She is blogging about her Homeward Bound journey at Queendom of Ice on Facebook. 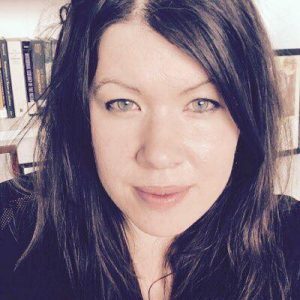 Dr Beth Christie is a Lecturer at the University of Edinburgh. 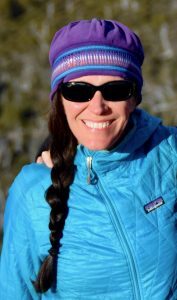 She leads the MSc Learning for Sustainability and is Associate Editor of the Journal of Adventure Education and Outdoor Learning. Being passionate about re-visioning education for a sustainable future, she has worked closely with academics, teachers and leaders across Scotland to consider how this future may develop in theory, practice and policy. At a global level she has developed and led a MOOC (Massive Open Online Course) in Learning for Sustainability: Developing a Personal Ethic. She is married with two children and loves to run, snowboard and be outdoors. Cécile is an environmental and agricultural scientist currently undertaking her PhD in sustainable grazing systems intensification. She is passionate about the challenges in relation to sustainable food systems at the farm level as well as in a national and global context. She wishes to better inform decisions to feed the world more sustainably and equitably now and in the future. She loves sharing her research with others, travelling, discovering new cultures, outdoor activities, painting and playing music. Elisa is a practicing veterinarian and biotech consultant from Maryland, USA. 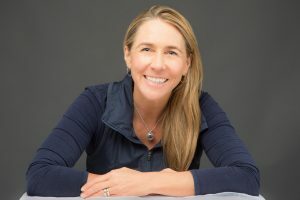 She also holds a PhD in physiology and Master’s in ecology and evolutionary biology from the University of Connecticut. She has had a varied career in veterinary practice, spent a decade reviewing medical technologies and leading other scientists at the US Food and Drug Administration, and another decade consulting for the global biotech industry. Her passions include international veterinary volunteer work, travel and equestrian pursuits. She avidly believes in the One Health concept to improve human, animal and environmental health, and is a proud mother of two scientist sons and a menagerie including five horses, two dogs, a cat and chickens. Émilie’s passion for studying birds and mammals grew throughout her studies. Then also she became passionate about travelling. After obtaining a Master’s degree in Biology, she spent 5 years working for different research organisations. Her various missions led her to travel the globe and follow many species. Accustomed to extreme and isolated environments, Émilie recently spent 15 months on an island in the French Southern and Antarctic Territories studying the Royal Penguin. Curious and enthusiastic, this young woman has it in her to transmit her passions and knowledge to the greatest number. Hannah loves the outdoors and enjoys trekking, ski-mountaineering, yoga and contemporary dance. She studied Natural Sciences at Cambridge, specialising in Chemistry. She then continued at Cambridge joining the Nanoscience and Nanotechnology Doctoral Training Programme. Hannah is now a PhD student working in the Physics and Plant Sciences Departments at Cambridge and is a Scholar of the Winton Programme for the Physics of Sustainability. Her research is in the field of microbial ecology and focuses on the mutualistic nutrient exchange between algae and bacteria. Isabel is an investment analyst for climate-related projects at the International Finance Corporation, a member of the World Bank Group focussed on private sector development in emerging markets. Her areas of responsibility include the global renewable energy supply chain, energy efficiency and climate smart agriculture. 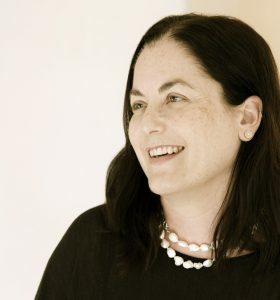 Prior to joining the World Bank, Isabel worked at Goldman Sachs as an equity research analyst, advising institutional investors on long-term investment opportunities. Isabel is passionate about solving global environmental challenges and believes that the path toward a more sustainable future requires the collaboration between key decision-makers – scientists, entrepreneurs, investors, policy-makers, and crucially, requires educating and persuading the public on the shared vision. She is honoured and excited by the opportunity to be part of the Homeward Bound community of female role models. Born in Spain, Isabel is fluent in Spanish, Mandarin and English, and was selected as a member of the UK Parliament’s Diaspora Emerging Leadership Programme. For fun, Isabel loves travelling, scuba diving and yoga. Jessica is a PhD student in chemistry and nanotechnology at the University of Western Australia. Growing up in rural Western Australia, Jessica learnt first-hand how outreach programs for science education are crucial for building a culture of science, and has passionately pursued her PhD and outreach programs to share her enthusiasm and knowledge of science. Jessica is researching the design and evaluation of new materials for delivery of gene therapies, for treatment of diseases such as cancer. 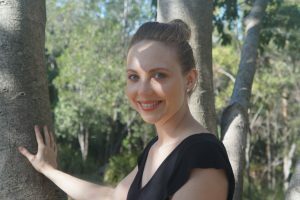 Jessica is committed to a range of voluntary science engagement activities, promoting science to local and rural school students through SciTech, Education Lab and Ignite Mentoring, and as an Australian Nanotechnology Network Young Nanotechnology Ambassador. 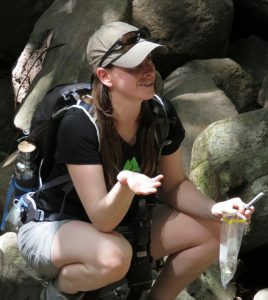 Karen is a research fellow in ecosystem-based management at the University of Tasmania. Her research focusses on ‘blue growth’ and she is particularly interested in understanding why conflict occurs around coastal and marine natural resource use. 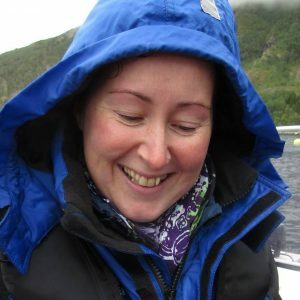 Originally from Scotland, Karen did her PhD at the Scottish Association for Marine Science. Karen feels quite at home in Tasmania – she loves the mountains and the sea. Outside of work she enjoys mediation, bushwalking, kayaking, general adventure and is currently learning to help crew a 40-foot Dubois racing yacht called ‘Ultimate Challenge’. Kathryn has a Master of Environment (Economics and Policy major), and a Bachelor of Learning Management (Primary major). After several years working in education, Kathryn made a career shift in following her heart to study and work in the environment and natural resource management field. She is passionate about sustainability and is thrilled to be part of Homeward Bound, eager to collaborate in leading the way to elevate climate change action towards a sustainable future. Laura is an environmentalist, presenter and one of Australia’s top plus-size models. Holding degrees in Biology and Law, qualifications in Environmental management systems and currently studying a Diploma of Paramedical Science, Laura’s passion for the environment, love for the ocean and interest in climate change has lead her to become a positive role model, advocate and ambassador for change. Working on environmental campaigns with The Boomerang Alliance, Greenpeace, 1 Million Women, WWF, Marine Stewardship Council, Corona x Parley and within the sustainable fashion realm has allowed Laura to extend the voice of environmental awareness and help to educate those people not normally influenced by such a sphere. Maddie Brasier is a PhD student at the University of Liverpool and Natural History Museum, London. Her PhD research combines DNA barcoding, modelling and stable isotope analysis to further our understanding of the diversity, biogeography and trophic traits of Antarctic Polychaetes. She has collaborated with British Antarctic Survey and the US Antarctic Program on expeditions and research projects. 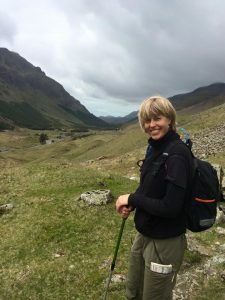 She is passionate about science communication; regularly organising and delivering outreach events as a STEM Ambassador and with the UK Polar Network. After her PhD Maddie wishes to remain in polar science and is really excited to go south with Homeward Bound! 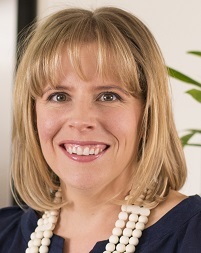 Dr Megan Oaten is a Senior Lecturer with the Menzies Health Institute, Griffith University, Gold Coast, Australia. Her research focusses on stigmatisation and disease-avoidant behaviour in humans. 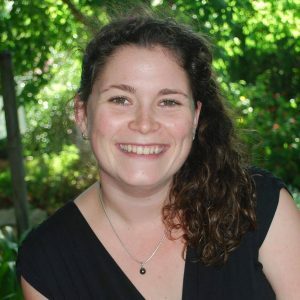 Megan has been the recipient of the prestigious Australian Postdoctoral Fellowship (2010-2012), funded by the Australian Research Council, and is currently the lead CI on an Australian Research Council Discovery Project Grant “Determining the role of disease avoidance in stigmatisation” (2015-2018). 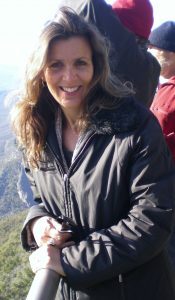 She has worked as an editor on the Royal Society’s Special Issue in Philosophical Transactions B on Behavioural disease avoidance: From animals to culture. 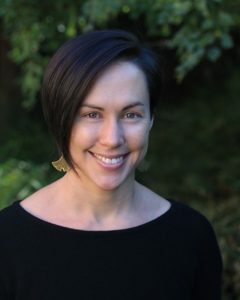 Melissa Hart is a climate scientist whose research focusses on the impact of cities on climate and climate on cities. Melissa has developed and leads a national cross-institutional graduate program in climate science, which has trained 120 PhD students. 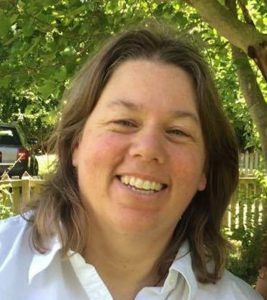 She is passionate about gender equity in science and is the chair of the Equity and Diversity committee in the Australian Meteorological and Oceanographic Society. Melissa has lived and worked on four continents and has dreamt of travelling to Antarctica since year 11 geography. Nicole grew up on the coast, spent her holidays exploring the outdoors and constantly asked questions about the world around her. With a keen interest in the everyday applications of science, she pursued an International Bachelor of Science degree in Chemistry. As a female industrial chemist working, studying and collaborating with industry, Nicole realised she needed to do more for women in this sector, so she ran away to join the Science Circus! Now, as a science communicator, Nicole facilitates workshops, encourages exploration of the sciences and shares her enthusiasm with students at Questacon, the National Science and Technology Centre. Paola was born and raised in Colombia (Latin America) and started working on energy industry-related projects, social responsibility, and leadership programs since 2008 in both Colombia and United Kingdom. She founded the Colombian Women Geo-Networking, an initiative to motivate women participation and promote the exchange of geoscientific information. Paola holds a Bachelor´s degree in Physics from the Industrial University of Santander and is a specialist in rock’s physical properties. Paola is curious about how things (and humans!) work and commit with the responsibility of leaving our planet in better conditions that she found it. She is honoured to be the first Colombian in Homeward Bound. 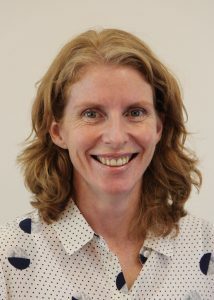 Dr Rebecca Doyle is a senior lecturer with the Faculty of Veterinary and Agricultural Sciences, and researcher at the Animal Welfare Science Centre, the University of Melbourne. 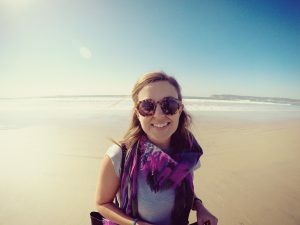 After studying animal science at Sydney University, Rebecca completed a PhD with the CSIRO where she studied cognitive measures of animal welfare. Rebecca still studies fundamental measures of welfare, but now also conducts applied research, including improving animal welfare and production in developing countries. Rebecca loves working in the area of sheep cognition, but has a soft spot for Galapagos tortoises, sloths and other slow-moving creatures that occupy slightly obscure ecological niches. 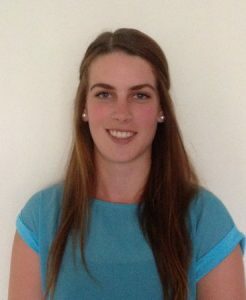 Samantha began research during her Biomedical Science degree in wildlife conservation, using 3D modelling and printing to understand the skeletal anatomy of bilbies and wombats to understand key arthritic and dental diseases which hamper captive breeding efforts and to design more effective breeding programs. Despite her arachnophobia, she began studying spider venoms against major sheep parasites, the Sheep Blowfly and blood-feeding Barber’s Pole Worm. 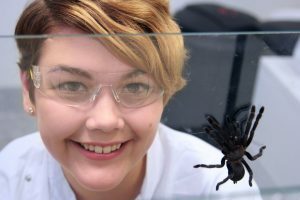 She has continued this work in her PhD, overcoming her phobia as she uses spider venoms to create next-generation drugs against neglected tropical diseases and livestock parasites. Samantha is passionate about using leadership to improve access to medicine and education globally. 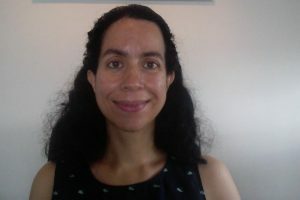 Sandra Guzman is a Mexican social scientist and climate activist with interest in climate finance and energy transition. 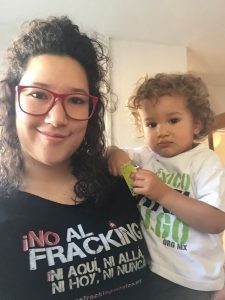 Sandra is a PhD student in Politics in the University of York, and is the founder and the General Coordinator of the Climate Finance Group for Latin America and the Caribbean (GFLAC). She has been a climate activist since 2005 working in organisations such as WWF and CEMDA in Mexico. She holds a Master Degree on Environmental Policy and Regulation by LSE, and a Degree on International Relations by the UNAM. She is a happy mother of a 20-month-old baby. Sarah is a paediatrician and Early Career Research Fellow working in the area of global health with a strong interest in nutritional and infectious causes of impaired child growth and development. She has previously spent time working in a variety of settings in a clinical, research and policy capacity including Nepal, Papua New Guinea, Liberia, South America, Ethiopia and Vietnam, as well as with Indigenous communities in the Northern Territory. Her current research focusses on preventing chronic undernutrition in children in resource poor settings. Stacey is a social economist with a research focus on the interaction between natural capital and rural livelihoods in developing countries. Prior to joining SEI, she worked for the Toledo Institute for Development and Environment in Belize and as a Foreign Service Officer for the US Department of State in Washington, DC and Hong Kong. She has an MSc with Merit in Development Management from the London School of Economics. Stacey, an American, is the mother of three children raised in six countries across four continents. 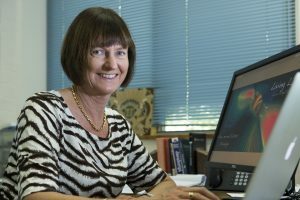 Professor Susan Scott is Professor of Theoretical Physics in the Research School of Physics and Engineering at the Australian National University. She became the first female Professor of Physics (with one other woman) at the Australian National University in 2009. Her research expertise is in gravitational physics, general relativity theory, cosmology and gravitational waves. Professor Scott is a member of the international team which announced the first direct detection of gravitational waves on Earth in 2016. She is a Fellow of the Australian Academy of Science and of the European Academy of Sciences. She is a Program Leader in the new Australian Research Council Centre of Excellence for Gravitational Wave Discovery and an enthusiastic Ambassador for Business Events Sydney. Professor Scott is passionate about science, and as a woman and the proud mum of two daughters, cares deeply about the participation of women in science and policy making which will determine the future health of our planet. 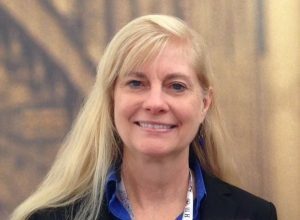 Valerie is a Senior Research Scientist, with extensive experience and expertise in Energy and Natural Gas Processing and Conversion. Although working in the area of fossil fuels, her research has a strong focus on emissions reduction, greenhouse gases transformation, and process optimisation and intensification to reduce waste, footprint and cost. Through her career, she has developed a strong background in Chemistry (PhD from the University Of York, UK) and Chemical Engineering, with expertise in energy generation, gas processing and heterogeneous catalysis. Outside of work, she enjoys the great outdoors (cycling, diving, Dragon Boat Paddling), making the most of the amazing WA weather and environment, especially with water close by. Dr Alexandra Dubini studied and obtained her PhD in Molecular Biology from the University of East Anglia, UK (2005). She worked 10 years (2005-2015) at the National Renewable Energy Laboratory (NREL, USA) as a research scientist where she focussed on understanding the metabolic pathways involved in biofuel production, from green algae, and more specifically hydrogen production. She is a well-known expert in this field and authored many scientific publications. She recently expended her work to waste water bioremediation using algae bacteria consortia. She is working in collaboration with many laboratories around the world and is eager to promote algae as the next source of energy and valuable products for more sustainable solutions. She often commits in outreach activities and coaching of students, including collaboration with the NASA. Moreover, she is entitled as a yoga teacher and massage therapist. In her free time Alexandra loves dancing, skiing and traveling. Amal-Lee’s lead responsibilities include implementing the Paris Agreement. From 2001-11 she had several roles leading strategy and policy on climate change, including designing a new Green Investment Bank and the Climate Investment Funds. From 2011-15 Amal-Lee was Associate Director at E3G where she established a high-level dialogue on China’s Green Finance Pathway and was a member of the Green Climate Fund’s Private Sector Advisor Group. 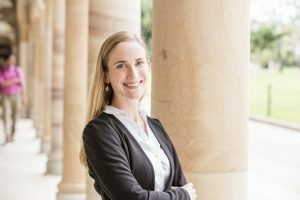 Her PhD on policies for renewable energy investments in India and South Africa has been central to her career. 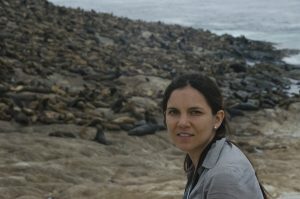 Ana is a passionate scientist with a particular interest in population ecology. She is about to defend her PhD on the effects of environmental variability and perturbations on seabirds population dynamics. She believes that addressing the challenge of empowering women and engaging people in science has never been more urgent in order to avoid loss of scientific talent and to ensure future innovation capability, excellence and competitiveness. That’s why she invests most of her free time doing scientific outreach (scientific stand-up comedy shows) with Big Van. Brenda Lin is a senior research scientist with CSIRO working in the Land & Water Division on climate change impacts on biodiversity and ecosystem services. 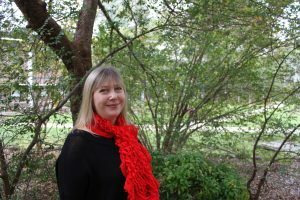 Prior to CSIRO, Brenda was based at the US Environmental Protect ion Agency in Washington DC with the Global Change Research Program researching question of resilience to climate change in socio-ecological systems at multiple scales. Prior to her work at the EPA, Brenda was at The Earth Institute at Columbia University working on agricultural development and climate change adaptation for small-holder farmers in Brazil and India. Brenda has also worked in coffee agroforestry systems in Southern Mexico researching the ability of diversified shade coffee systems to protect coffee farmers from the effects of increasing temperature and precipitation variation. 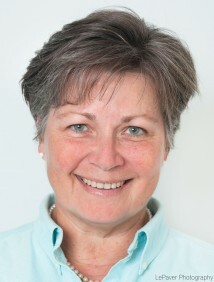 Dr Fern Wickson is an Australian citizen currently working as Senior Scientist and Leader of the Society, Ecology and Ethics Department (SEED) at GenØk Centre for Biosafety in Tromsø, Norway. Trained in biology and political science, with an interdisciplinary PhD across the natural and social sciences, she is committed to advancing sustainable agriculture, responsible innovation and resilient socio-ecological futures. 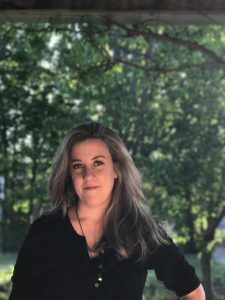 Her research explores the interface between environmental science, philosophy and politics, with a particular specialisation in the governance of new and emerging technologies. 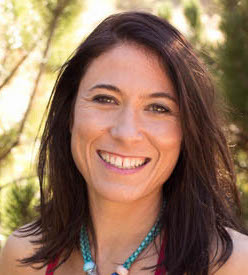 Fern is also a yoga teacher who enjoys hiking, kayaking, snowboarding and trying to grow her own food. Helen has worked in the environment sector for over two decades with numerous roles including Park Ranger, River Health Officer, and teaching Conservation and Land Management. She has a passion for working with members of the community to enhance their understanding and enjoyment of the environment whilst undertaking conservation work. After working on river health issues, Helen was inspired to research the relationship between the human well-being benefits of urban waterway corridors and biodiversity and the implications this has for environmental management. She is currently completing a PhD with the Interdisciplinary Conservation Science Research Group at RMIT University, Melbourne, Australia. 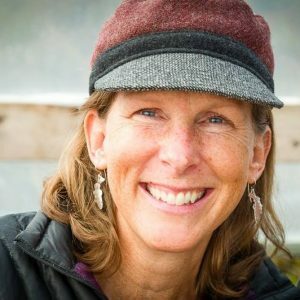 Dr Jamie Womble is a marine ecologist based in Juneau, Alaska. 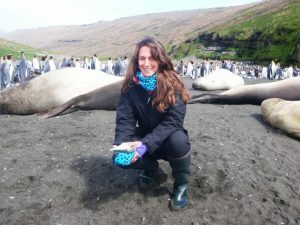 Her research interests are focussed on using innovative tools to assess the influence of prey availability and changes in ice habitat on the foraging ecology, diving behaviour, distribution, and migrations of top marine predators in temperate and subpolar regions. Jamie currently leads research projects on harbour seals and sea otters for the National Park Service in tidewater glacier fjords in Alaska. 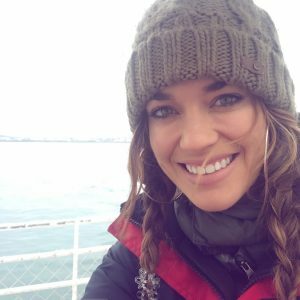 Jamie holds a PhD in Wildlife Science from Oregon State University, an MS from the University of Alaska Fairbanks, and was an Endeavour Post-Doctoral Research Fellow at the Institute for Marine & Antarctic Studies at the University of Tasmania. Jamie has led and participated in research projects throughout coastal Alaska, Argentina, Chile, and Tasmania on fish, songbirds, penguins, seals, sea lions, sea otters and whales. Dr Jill Lynn owns and operates a mobile veterinary clinic in Sault Sainte Marie, Michigan USA. She also serves as a Captain in the United States Army Reserve Veterinary Corps. Her two most exciting army missions included a six-month deployment in East Africa, where she partnered with local animal health workers in remote areas, and a three-week mission in the Darien province of Panama. Jill earned a Doctor of Veterinary Medicine degree from Michigan State University in 2008, an AS from North Central Michigan College and a BA in History from the University of Michigan. 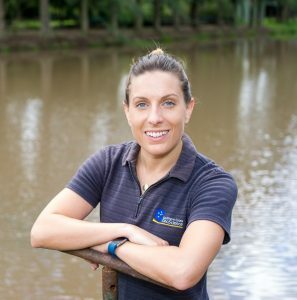 Kate has worked in private veterinary practice in rural Victoria and England, before returning in 2001 to the Ballarat region where she grew up. 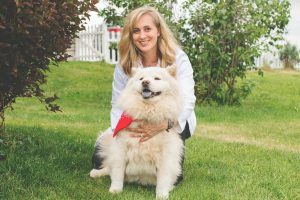 She’s committed to providing quality care to companion animals and their owners, gaining her Membership of the Australian and New Zealand College of Veterinary Scientists in Small Animal Medicine in 2003. Kate’s also a mother of two, qualified Interior Designer, amateur Landscape gardener, enjoys Latin dancing, loves her cattle and being outdoors (especially at sunset), is active on her kids’ school council and in local sporting communities, and lives to travel. She’s excited to represent rural Australian women and learn how to positively influence our natural world on a larger scale. Kimberly is an adventurous and caring zoo and wildlife veterinarian, working for nearly 20 years in both a clinical and conservation capacity. 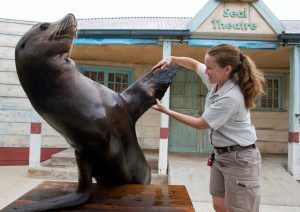 During 10 years at Taronga Zoo, she participated in conservation medicine programs for chimpanzees in the Republic of Congo, orang-utans in Indonesia and marine turtles worldwide. With a MS in Oceanography, her marine research passion led to working in the Arctic with Bowhead whales and sub-Antarctic pinnipeds. She also has interest in teaching veterinarians from developing countries, diving, flying, sailing and photography. With a double degree in Science/Arts and Honours in Biology, Lee has a diverse background in environmental science, plant science, sociology and drama. Lee loves combining science with media and the arts. 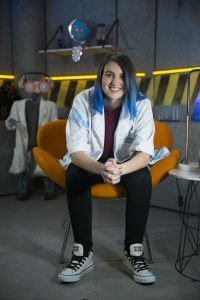 She was a presenter in the Questacon Science Circus while gaining a Master of Science Communication Outreach, and started a youth-run radio show called SoapBox focussed on social justice and sustainability. Lee now spends her days on camera and her nights planning her passion project, Co-Lab: Science Meets Street Art. Madeline is plant molecular physiologist interested in understanding the way plants respond to their environment to optimise growth and how we can best use science for a more sustainable, food-secure world. During her PhD at the University of Cambridge, she investigated the way algae photosynthesis more efficiently, contributing to an international collaboration to re-engineer crop photosynthesis to improve yields. Currently a postdoctoral fellow at CSIRO, she is working on turning starch crops into oil crops to meet the growing demand for plant oil. She is also passionate about gender equity and diversity in STEM. Growing up in the outdoors on a small cattle farm and spending weekends camping and bush-walking, Melissa dreamt of having a job working out-bush in nature. After studying Environmental Science, she was drawn to the remoteness of the arid zone, and the camaraderie of the community and people researching Australian desert rivers. This is where she undertook further study and researched freshwater turtles. Her passion was enhanced when she met and worked with Aboriginal people, first in the Northern Territory and then in South Australia where she learnt about science from a cultural perspective. Having loved working in natural resource management with pastoralists and Aboriginal people across the arid-zone rangelands, she is now embarking on a new journey on Aboriginal water planning and policy for the South Australian River Murray. Natalia Melcer works at the intersection of science and policy in Washington, DC. Since 2005, she has worked in a spectrum of science policy positions relating to chemistry, physics and energy. She currently works in the Office of Basic Energy Sciences at the US Department of Energy (DOE) on budget formulation, strategic planning and communications. In previous positions, Natalia focussed on policy through budget formulation and execution activities at DOE, and on science as a senior program officer with the Board on Physics and Astronomy at the US National Academies. She is a dual citizen of Canada and the US and enjoys yoga, photography and travel. As a creative science enthusiast, Nina works as a curator at the Museum of Applied Arts and Sciences (a dream job). She develops exhibitions, manage the museum’s collection and engage with visitors at public events. She has a strong background in science education and outreach, having worked for Fizzics Education and ACTEW Water. Nina holds a Masters of Science Communication from ANU and a Bachelor of Science from UNSW. She is passionate about motivating young women to pursue careers in science, technology, engineering and mathematics and believes it is important that there are strong female role models for them. Tēnā koutou e te whānau. 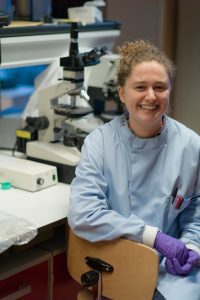 Rachelle Balez is a 3rd year PhD student at the Illawarra Health and Medical Research Institute, whose work focusses on understanding the molecular mechanisms underlying Alzheimer’s disease by generating neurons from patient derived induced pluripotent stem cells. Rachelle is passionate about STEM education and has travelled to rural and regional high schools across NSW, Australia, as part of the UOW STEM Road Show. 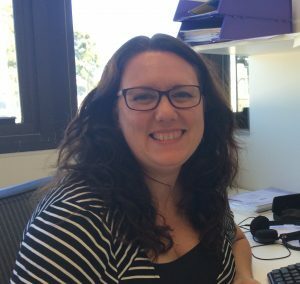 Rachelle is also secretary for the Australasian Neuroscience Society Student Body Committee, where she is working to help support the needs of neuroscience students across Australia. As well as her love for science, Rachelle is a practicing artist with a Bachelors degree in Creative Arts, is an avid traveller and really enjoys eating. Rebecca grew up in California and developed a passion for weather. She graduated with a Bachelor of Science in Meteorology and immediately joined the NOAA Corps. Her first assignment was as navigation officer aboard NOAA’s oceanographic research vessel, the KA’IMIMOANA. Following her sea time, she transitioned to working in the storm surge unit at the National Hurricane Center. 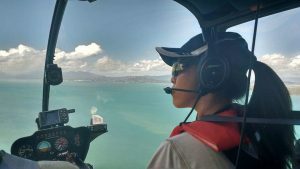 In 2009, she traded her sea legs for wings and became a pilot. 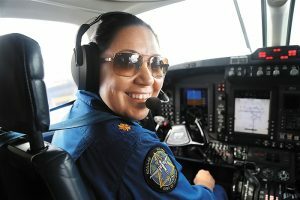 She now combines her love of weather and flying by working at the Aviation Weather Center and serving as aircraft commander on NOAA’s premiere remote sensing platform. 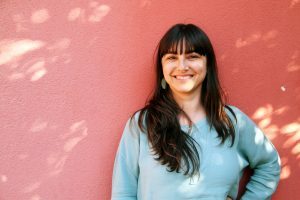 Born and raised in Peru, Sandra’s curious mind and thirst for knowledge, has taken her to work in Italy, Kenya, Brazil, Peru, Australia and New Zealand. Her research interests are understanding innovation processes and scenario planning. At Scion (New Zealand Forest Research Institute) she focusses on developing adaptive governance approaches to decision-making. Sandra is completing a PhD at the Australian National University. She holds a MSc in Ecological Economics (University of Edinburgh) and BSc in Forest Sciences (Universidad Nacional Agraria La Molina). Sandra enjoys travelling, meeting new people, water colours, marketing her family’s dog business, growing her own food, scuba-diving and advocating for women in leadership. 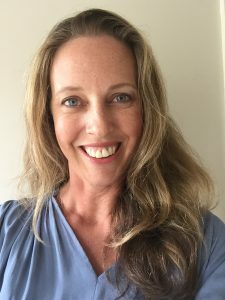 Sarah is a medical doctor originally from New Zealand who is currently undertaking specialist training in Paediatrics and Child Health in Sydney, Australia. She has career interests in general paediatrics and preventative medicine as well as medical education and leadership. Sarah loves spending time in the outdoors and enjoys hiking, running and completing endurance events (slowly!). 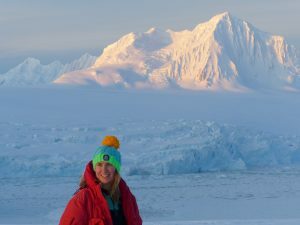 She has always been fascinated with Antarctica and is absolutely thrilled to see it for herself, along with the opportunity to acquire valuable leadership knowledge and skills in a collaborative environment with this group of incredible women. Sue has been studying impacts of climate and land-use change in Alaska’s wild salmon streams for 17 years. She coordinates regional water temperature data collecting networks with diverse partners and uses thermal infrared imagery to map cold water habitat, which is critical for the persistence of salmon during this time of rapid change. 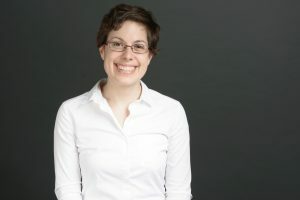 Sue is interested in research that can be applied to decision making and public policy, and strives to connect people through stories informed by science to reach common goals. Dr Sylvia Struck’s energy and enthusiasm for the environment and her philosophy that health is a basic human right permeate her work. 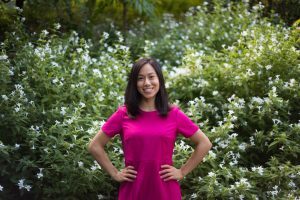 She started her career as an environmental engineer, but her interest in human health impacts inspired her to complete a PhD in Public Health. Her research focussed on how livelihood, poverty and policy influence water access in rural Uganda. She currently works with First Nations communities to support sustainable access to safe, reliable water supplies. Sylvia also lectures at the University of British Columbia on global environmental health and the impacts of climate change on human health. Veronique’s research focusses on improving the management of our natural environment through multidisciplinary projects that combine social, environmental and economic information. She uses integrated bio-economic modelling to evaluate the impact of different land management strategies on people and the environment. Veronique is currently leading a project that focusses on applying economic analysis to the management of natural hazards to help decision makers get better value for money from public investments in hazard mitigation. She is both Colombian and French, and loves living in Australia. Xuehua’s area of research interests is environmental policy-making, environmental governance, agricultural pollution control, ecological farming, urban waste management, and environmental legal institutions. She has contributed to the international policy community and its understanding of the actual functions and operations of China’s environmental governance system, mostly through providing consulting services to governments and international organisations. She just recently completed a study on the community-based waste segregation and composting at source in Bengaluru, India, and is conducting similar experiments in Chengdu, China. Xuehua received her PhD from Stanford University, USA. Alice is the Executive Director of Vital Signs, an integrated monitoring system that generates data on agriculture, ecosystems and human wellbeing and transforms them into decision support tools for managers and planners to enable better decision-making in support of sustainable development. Before Vital Signs, Alice worked for the United Nations Development Programme (UNDP) team leading the Environmental Finance Unit in Africa. 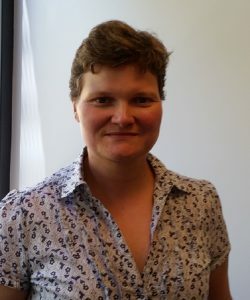 Alice’s more recent work has focussed on systems thinking and identifying decisions points or processes across sectors where data can be influential in policy and planning. This is what attracted her to Vital Signs where she will continue to promote multi-scale and multi-sectoral use of Vital Signs’ data. Alice holds a Bachelor’s Degree in Social Sciences from Makerere University (Uganda), and a Master’s Degree in Agricultural and Applied Economics from the University of Wisconsin (USA). 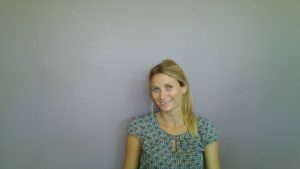 Anais was born and raised in France, lived in the Caribbean Islands and the UK and is now living in Perth, Australia. After undertaking a BSc and MSc in Environmental Sciences and a PhD in Applied Chemistry, she currently works as a research scientist in CSIRO, Perth. Her research is at the boundaries between organic chemistry, geology and evolutionary biology and promotes a better understanding of the origins of life on Earth and its evolution through time. She loves sharing her love of science and is strongly involved in science outreach programs in Western Australia. Cathy completed her PhD in 2014 at the Technical University of Munich, Germany. Her dissertation focussed on the molecular mechanisms which lead to axon degeneration in Multiple Sclerosis. She has since shifted gears to help academics find their own passion. She currently resides in Cambridge UK where she is the Chief Operations Officer of Cheeky Scientist, a training platform for academics who want to transition into industry. She also cares about strengthening the voice of women in science and is Chair of Cambridge AWiSE, a regional network for women in science, engineering and technology in both industry and academia. Elena is an Italian theoretical physicist, teacher of physics at upper school. Elena studied black holes at the University of Bologna and at École Normale Supérieure in Paris. 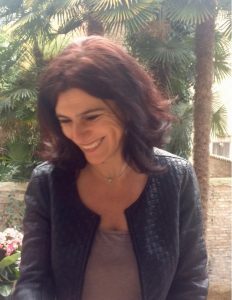 She holds a Master in Science communication from SISSA-International School for Advanced Studies in Italy, and for almost 10 years she has been writing physics textbooks, translating and editing into Italian scientific books from English and French and working as science editor for an Italian publishing company and a science magazine. She is author of a scientific essay about the role of metaphors in science communication and of a science book for kids about black holes. 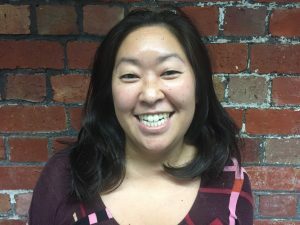 Dr Ellen Moon is a geochemist at Southern Cross University. She grew up on the island of Jersey, and received her PhD in Ocean and Earth Science from the University of Southampton in 2012. She moved to Australia in 2011 and since then has worked in both industry and academia, on projects related to environmental sustainability of industrial processes and resilience of remediated landscapes to climate change. Recently, she has been involved in national scientific policy design. Ellen is passionate about making STEM careers more attractive and accessible to young women, and is looking forward to learning new skills to facilitate this through the Homeward Bound global leadership initiative. 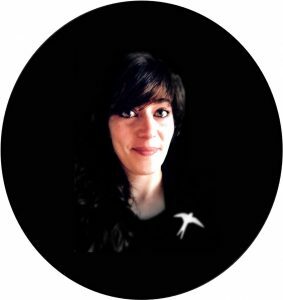 Dr Gaia Dell’Ariccia is a behavioural ecologist working on petrel seabirds’ migration, navigation and homing, and on their sensory ecology. After completing her master studies at the University of Rome (Italy), she carried out her PhD at the University of Zurich (Switzerland) investigating homing pigeons navigation abilities. She worked for 4 years postdoc at the Center of Evolutionary and Functional Ecology of Montpellier (France) studying the olfactory ecology of petrels. 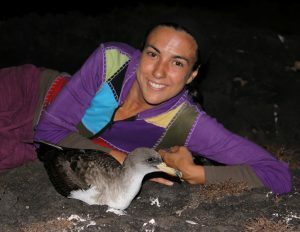 She spent the last two years at the University of Barcelona (Spain) studying the trans-equatorial migrations of shearwaters. She is currently based in France working on seabirds’ movement ecology. Hilary holds a PhD in Botany from the University of Connecticut and studies species diversity and organellar genome evolution of freshwater green algae. 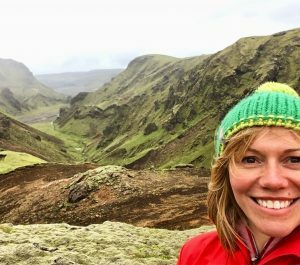 She mentors students in projects characterising the algae of Central New York State, in house rain-gutters of North Carolina, and in freshwater habitats of Iceland. 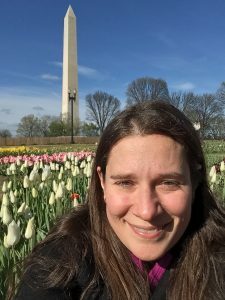 She teaches courses in botany, evolution and environmental issues, and encourages students to seek active roles in addressing climate and environmental issues on campus and at home. Her free time is spent with her family enjoying the outdoors hiking, camping and canoeing. With a background in environmental science communication, Jessica has a knack for distilling complex information and making science come to life for diverse audiences. 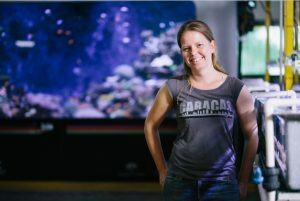 In her current role, Jessica develops museum exhibitions that celebrate and inspire people to conserve the amazing biodiversity of Western Australia. She serves as a bridge between scientists and the lay public — effectively interpreting environmental messages to move both hearts and minds. Jessica is passionate about sharing stories that showcase the voices of women in science. An ocean lover, she views Homeward Bound as an opportunity to shine a light on the effects of climate change on marine ecosystems and their most vulnerable inhabitants. Kate discovers novel antibiotics and anticancer compounds from the oceans using a multidisciplinary approach encompassing microbiology, comparative metabolomics, chemistry, ecology and molecular biology. 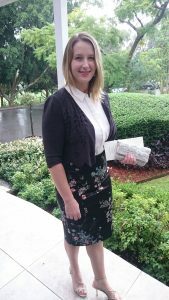 She has over 12 years’ research experience, including a RSC MChem (Scotland), an international Masters placement in Chemistry (Florida), a PhD in Biomedical Sciences (Canada), two postdoctoral fellowships in Marine Biomedicine (University of California) and Marine Biotechnology (Scottish Marine Institute). She started her own research group in 2016. W: http://katherinerduncan.weebly.com. 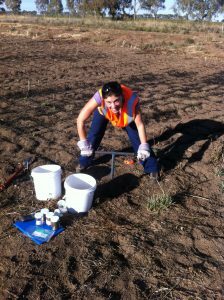 Laura Trotta has a Bachelor of Environmental Engineering and a Masters Science in Environmental Geochemistry. 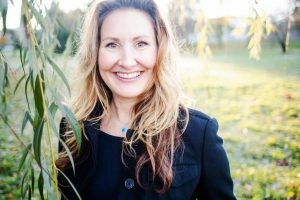 Following a lengthy career in the Minerals Industry, Laura took her voice online (lauratrotta.com) and created a number of online sustainability programs which inspire and guide parents to make sustainable lifestyle choices. Marie completed a Bachelor of Arts and Bachelor of Science before her PhD in Immunology at the University of Melbourne. 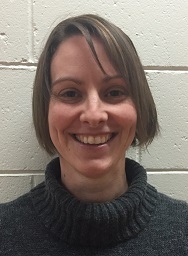 After a post-doc studying the effects of gut microbiota on immune responses, she completed a Dip.Ed and is currently leading the Science team at Maffra Secondary College while taking intermission from a medical degree at Monash University. Marie is passionate about increasing STEM engagement and opportunities among rural students, particularly females, and is working to increase community-owned renewable energy sources with the Wellington Renewable Energy Network. She has two young children and writes fiction in her spare time. Melissa has a passion for science, yoga, nature and the night sky. Currently she works as a microbiologist at the National Renewable Energy Laboratory (NREL) in Colorado, USA. Her research focusses on developing future biofuels and biotechnologies. She obtained her PhD in 2013 at the Alternative Energies and Atomic Energy Commission (CEA) in Cadarache, France, where she studied the bioproduction of hydrogen by cyanobacteria: fascinating bacteria that can do photosynthesis (and are partly responsible for the dioxygen we all breathe!). She believes education and communication are necessary elements of change. Natasha leads CSIRO Manufacturing’s diverse Characterisation capability. She has been working in the field of Materials Characterisation since 1992 and has had many roles at CSIRO during this time, utilizing both her Materials Science and Crystallography expertise. 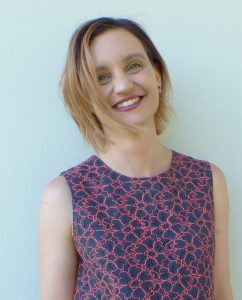 Notably, Natasha has had vast experience in a wide range of Materials Characterisation techniques and acts as a trusted advisor for CSIRO and industry determining the most appropriate and holistic determination of materials properties depending on client need. She is married with 3 children and loves the great outdoors. Paloma desperately wants the world to change for the better, but does not know how we can realistically create that transformation. She is certain a team of 1000 women in STEMM will be stronger together in helping solve our world’s problems, and she is proud to be a part of the Homeward Bound squad. 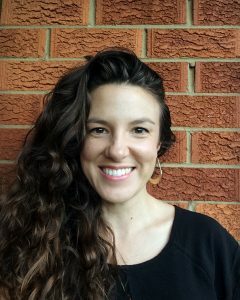 Paloma is a Swiss and Australian biologist with a BSc in Ecology and Environmental Science from the University of British Columbia, and is currently working on a PhD in animal behaviour at the University of Queensland. 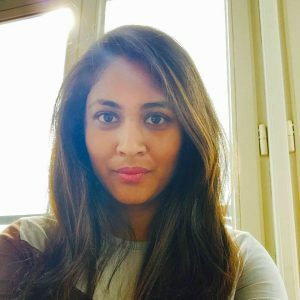 Purvi grew up in India with an interest in science and engineering, and graduated from IIT Madras with a degree in Biotechnology Engineering. During her years working for GlaxoSmithKline, she built a passion in healthcare and emerging economics – working across Thailand, Vietnam, Philippines, Singapore and India. Thereafter, she completed her MBA from INSEAD, graduating with classmates from 90 countries. She believes in diversity, global collaboration and is keen on creating opportunities for young girls and women. She is energised about participating in Homeward Bound and looks forward to collaborations across science, engineering and business for the future of our planet! 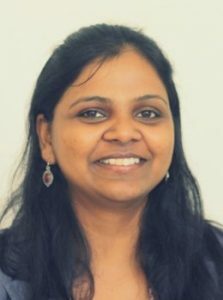 Rashmi is from Melbourne, Australia and has a background in international public health, infectious diseases, primary health care and women’s sexual and reproductive health. After completing her education, she has continued to work in the health and not-for-profit sectors with a focus on international efforts as well as domestic. Rashmi has an invested interest in how public health, and more specifically women’s health and wellbeing will be affected by climate change. She’s an avid traveler, will always have a pair of headphones on and a book nearby and is constantly on the lookout for yummy food. Rashmi has a Bachelor’s in Bio-Medical Sciences and a Master’s in International Public Health. 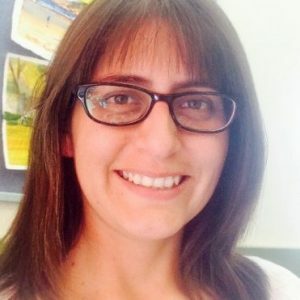 Dr Romy Zyngier has a research background in soil and carbon sequestration and is passionate about issues of food security and climate change. 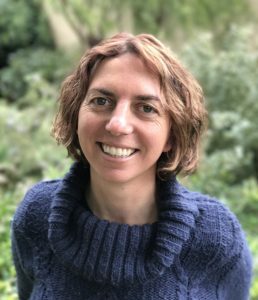 Romy manages the Victorian Bushfire Monitoring Program and is the policy lead on understanding carbon assets in the landscape and potential management frameworks. 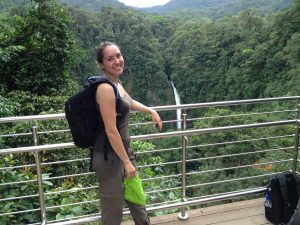 She has research experience in Thailand, China, USA, Israel and Australia in both forest and agricultural ecosystems. Romy is a creative communicator and facilitator, bringing her interests in the arts together with her passion for science! Samantha graduated with First Class Honours in Marine Biology from the University of Queensland in December 2016, at the age of 44. She is now with ECOCEAN, a not-for-profit organisation that works for the protection and conservation of whale sharks and the marine environment through research, education and public outreach. Samantha is passionate about the importance of STEM education and believes going back to university was the best thing she ever did. Through her Homeward Bound journey, Samantha wants to show that anyone can make a difference and it’s never too late to start! 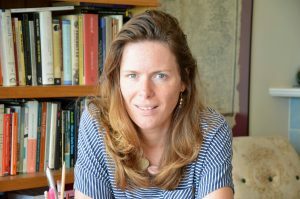 Dr Sarah Hamylton, a geographer, is a Senior Lecturer at the University of Wollongong. She is Co-Director of the GeoQuest Research Centre and Academic Director of the Spatial Analysis Laboratory. Her BSc was in Environmental Sciences (Southampton, UK), she has two Masters degrees (Marine Environmental Science, Southampton; GIS and Remote Sensing, Cambridge) and a PhD on Red Sea and Seychelles coral reefs (Darwin College, Cambridge, 2010). 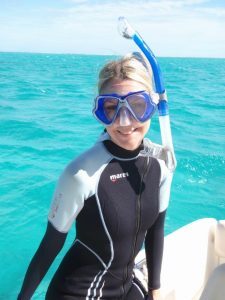 Sarah sits on the Council of the Australian Coral Reef Society and co-founded the Women in Coastal Geoscience and Engineering Network. 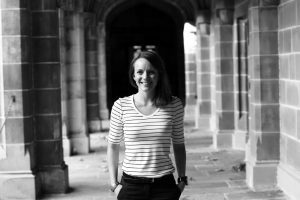 Recently nominated as ‘Woman of Impact’ (UOW, 2016), Sarah has authored >60 publications on coastal spatial analysis. Dr Sophie Adams is a Consultant Psychiatrist working as a medical leader in youth mental health. Sophie’s key professional roles are wide ranging and extend across different disciplines within psychiatry from neuroscience research to the interface between medicine and psychiatry to systems and engagement and the active development of the youth voice in her service. She also possesses a very unpsychiatric idealism and a keen enthusiasm for travel and weather. Sophie’s key mission is to enable others to flourish. She still believes that change in the world can be created with vision and that decency allows for more sustainable change. Sue studies the response of arctic ecosystems to a changing environment and the impacts of these changes on global climate. Her research examines feedbacks on global carbon cycling from permafrost thaw and impacts of fire and landscape characteristics on permafrost vulnerability. 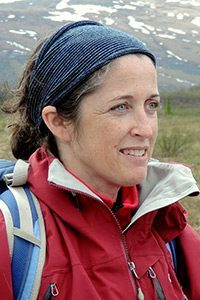 She has interacted with national and international policy makers to inform them about the science of climate change and, specifically, about the impact of carbon emissions from thawing permafrost on future climate. She places strong emphasis on training the next generation of Arctic scientists and on supporting women and increasing diversity in the scientific community. Uxua has over a decade of experience in the area of renewable energies. 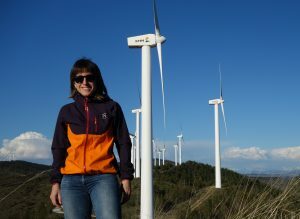 She started studying the electromagnetic impact of wind farms and has worked cross-culturally designing, installing and commissioning communications projects of new sustainable generation assets in in five continents. She holds a Master in Cybersecurity, and her area of expertise is industrial control systems. She loves spending her free time hiking or cycling in the mountains, and she is involved in a project of recovering an abandoned village and turn it into an ecovillage. Wing’s passion is to develop and implement strategies that ensure the persistence of coral reefs and marine life under climate change and anthropogenic stress. She is originally from Hong Kong. In her PhD, she assesses the feasibility of developing coral stocks with increased climate resilience via assisted evolution for reef restoration. Wing is also a sailor, a diver, a snorkel guide, a glider pilot and a commercial helicopter pilot, dedicated to showing people the beauty of our nature and to raise public awareness on climate change. Yiting helps shape overall strategic direction of and fund raise for all conservation programs. 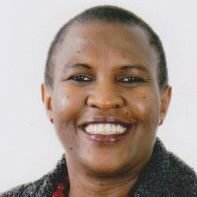 Over the years, she has worked with some leading and grassroots environmental and justice groups on four continents, strategising for technological and social innovation, and campaigning for equitable global governance. She has conducted extensive field research and published on rural energy in East Africa and India. She believes in building durable relationships across cultural and disciplinary boundaries to stimulate systemic solutions. 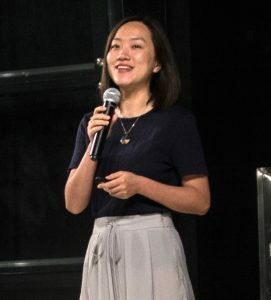 Yiting graduated from Mount Holyoke College with the highest honour, and earned her Master of Environmental Science from the Yale University School of Forestry and Environmental Studies. Xiaoyuan “Charlene” Ren received her BA in Physics from Vassar College and dual MS in Environmental Engineering & Technology and Policy at MIT, with a thesis focused on the water and sanitation monitoring policy structure in rural India, which has transformed into an organisation supporting open government data platform development. 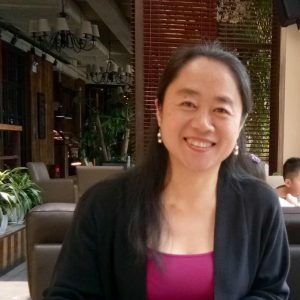 She is now the Founder & Director of “MyH2O – Water Information Network” in China, mapping rural clean water demands for solution connection (myh2o.org). Since 2015, her organisation has collected data across 800 villages with the support of thousands of fieldworkers, and delivered water solutions to thousands of rural populations. She is also a 2016 Echoing Green Fellow for global social innovation.